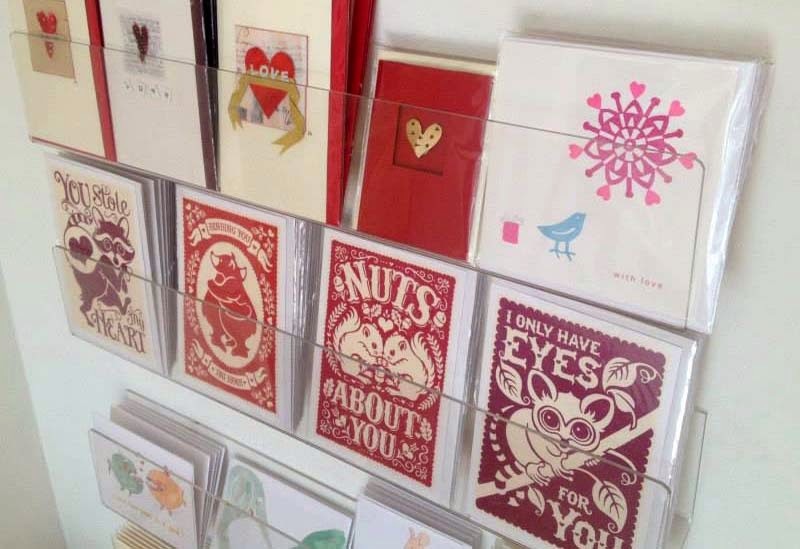 Here's a nice image of my new 'With Love' cards on display in Cambridge Contemporary Crafts, nestled amongst some other very nice designs. I delivered some more of my hand-printed cards to Cambridge Contemporary Crafts today as the first batch sold out very quickly. 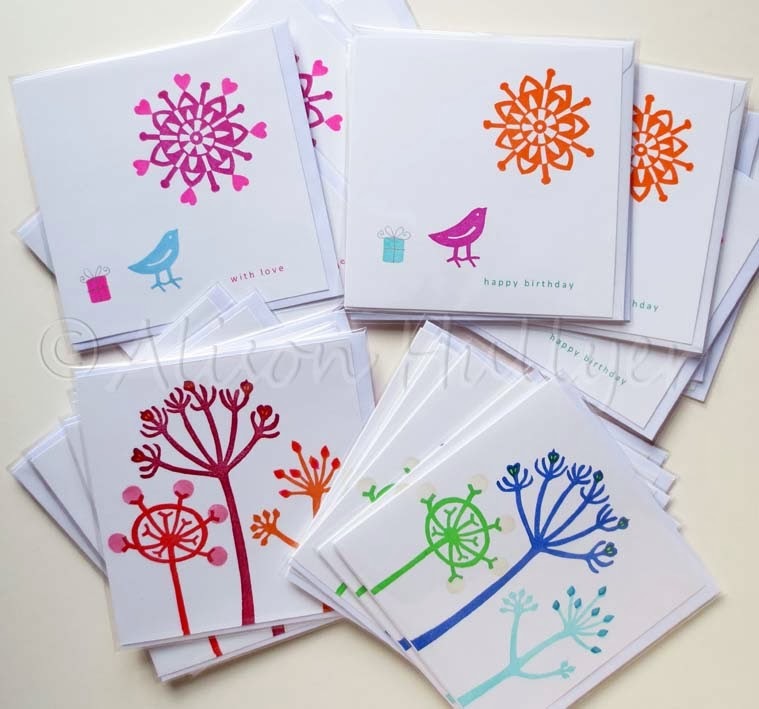 They are very time consuming to print but I love the fact that they are all slightly different. 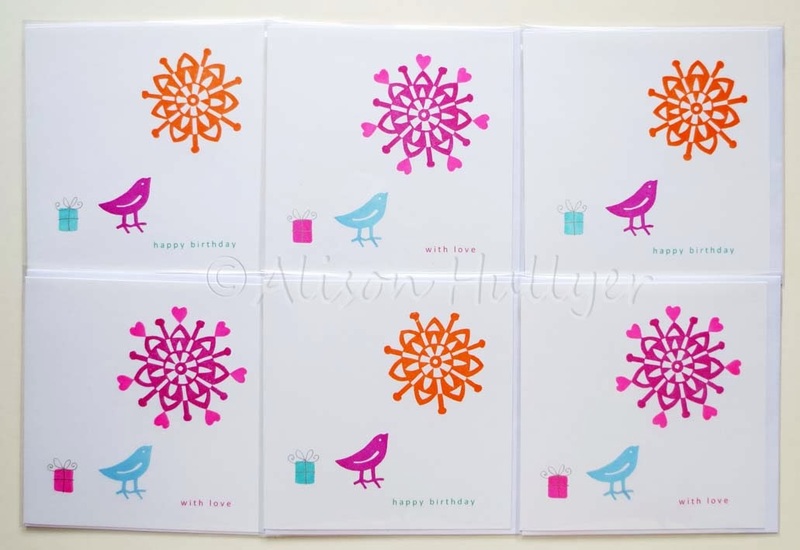 I use rubber stamps that I have hand carved and ink them up individually to create the design. I particularly like the new With Love design, just in time for Valentines Day.